Would you try a mystery steak box? 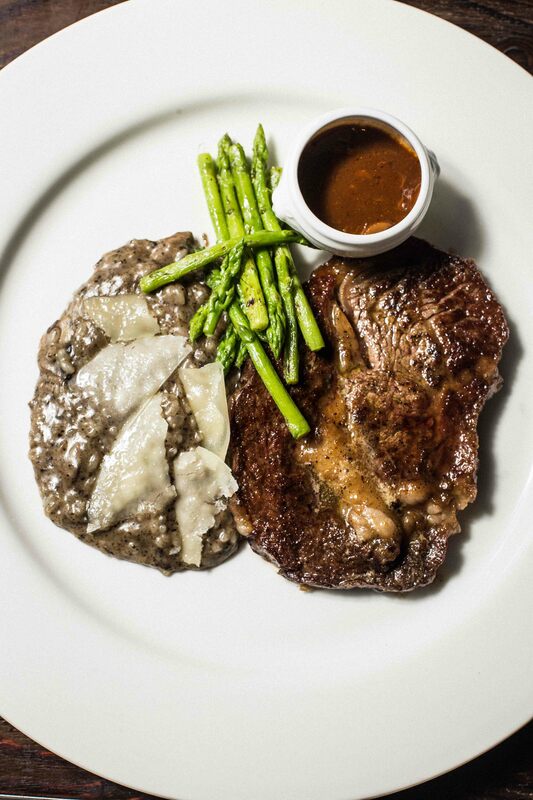 If there’s one thing many people are particular about, it’s how they like their steak. And that’s perfectly understandable—cook it too long and it comes out too tough. Too raw and it’s just bad. Add to that, people each have their preferences on what to have with their steak, too. So with that kind of meticulosity that goes into the choosing of a steak meal, would you take a gamble with a Mystery Steak Box? 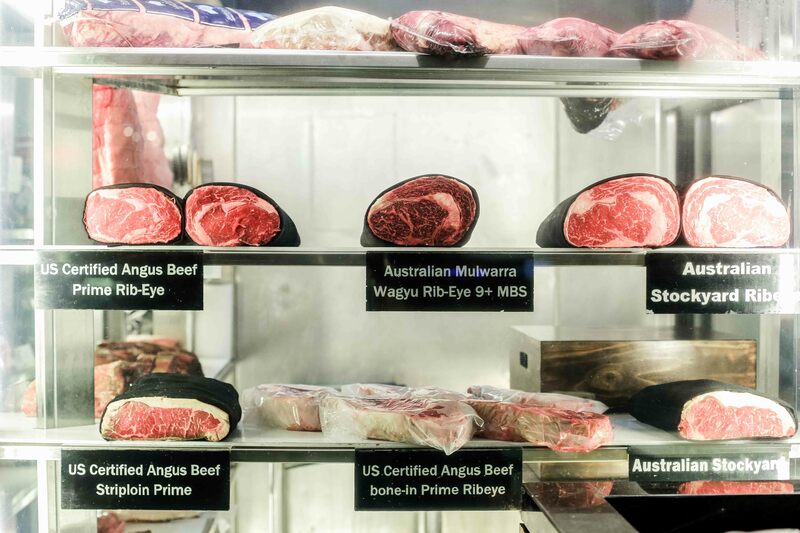 Marriott Hotel Manila’s Cru Steakhouse is challenging steak-lovers’ appetites as well as their chefs’ skills with their recent offering. Inspired by the mystery ingredient boxes of “Master Chef,” the mystery steak box features a select steak cut, along with two to three ingredients each for an appetizer, a main course (to pair with the steak), and dessert. 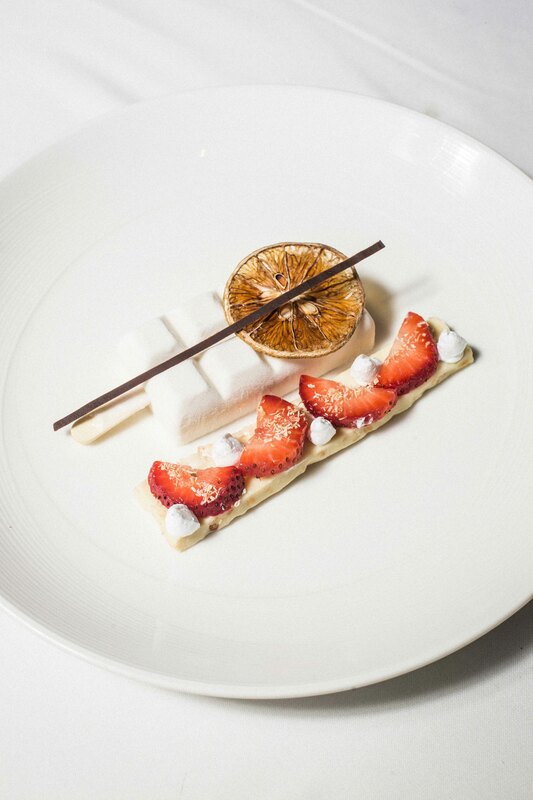 The result is a three-course dinner that displays the chef’s creativity. We tried the box for ourselves. 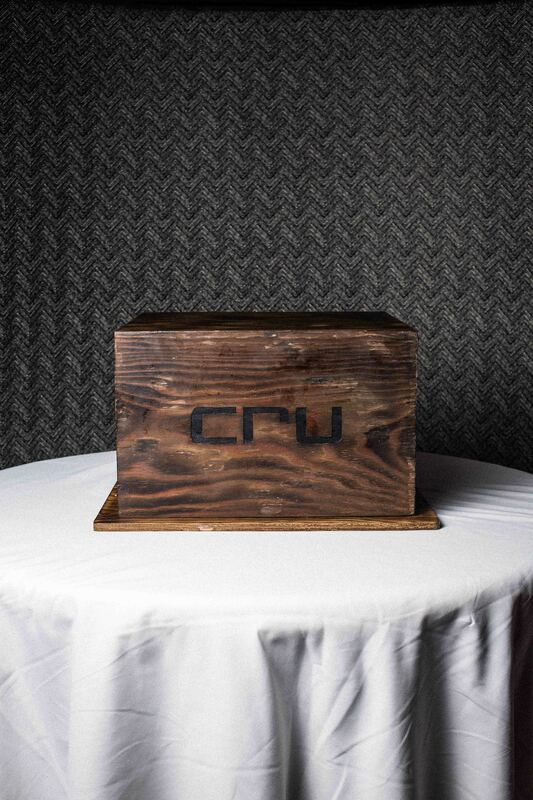 No one really knows what’s inside the mystery box, aside from the executive chefs who put it together every day. The box is offered to guests at the steakhouse, but its contents will only be revealed once the guest agrees to order it. No take backs once the box is opened! 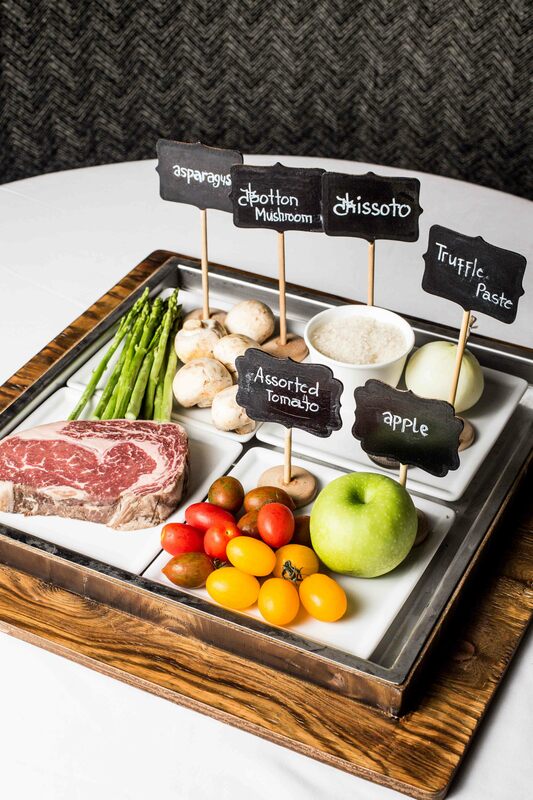 Our mystery box contained a rib eye steak, some tomatoes, asparagus, button mushrooms, truffle paste, and an apple. For the first course, we were served with a three tomato salad. 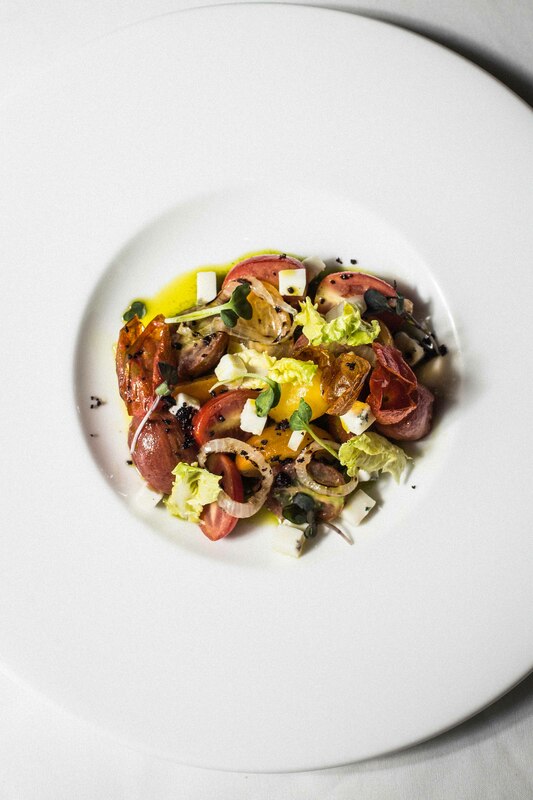 Red cherry tomatoes, yellow tomatoes, and tiger tomatoes were served along with romaine hearts, goat cheese, and pesto sauce. There’s a good balance of mild sweetness and saltiness, as well as soft, juiciness and crunch in this salad thanks to the mix of ingredients. 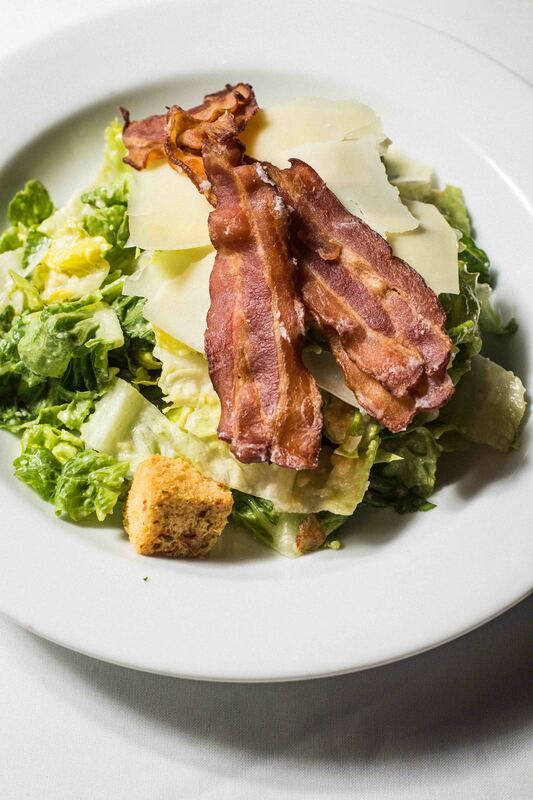 Probably my new personal favorite salad, honestly. 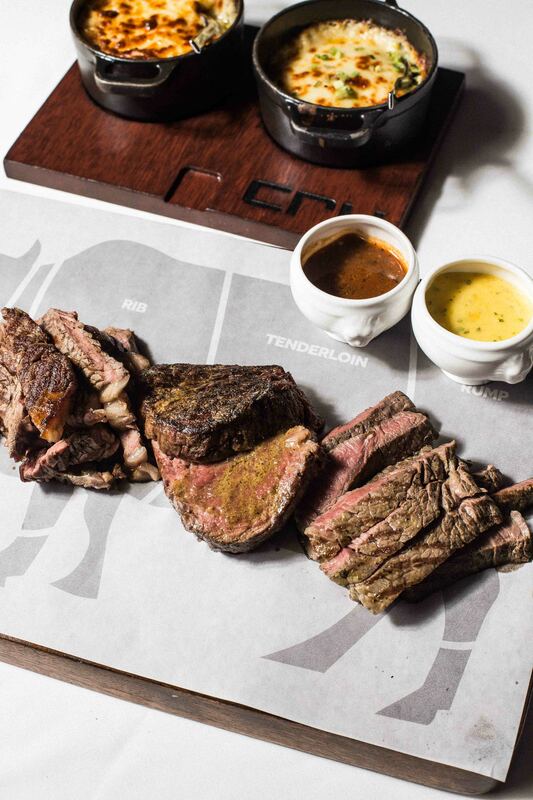 Other ways to have your steak: Try the cuts platter, which gives you the chance to try three different steak cuts. The platter has rib, tenderloin, and rump. Each platter comes with two side dishes. In the photo are the mac and cheese and the potato gratin. For the main course, our ribeye steak was seared to a good medium rare. For the asparagus, we were given the option to have it grilled or buttered—we went for the healthier route. These were then paired with a very flavorful truffle button mushroom risotto. 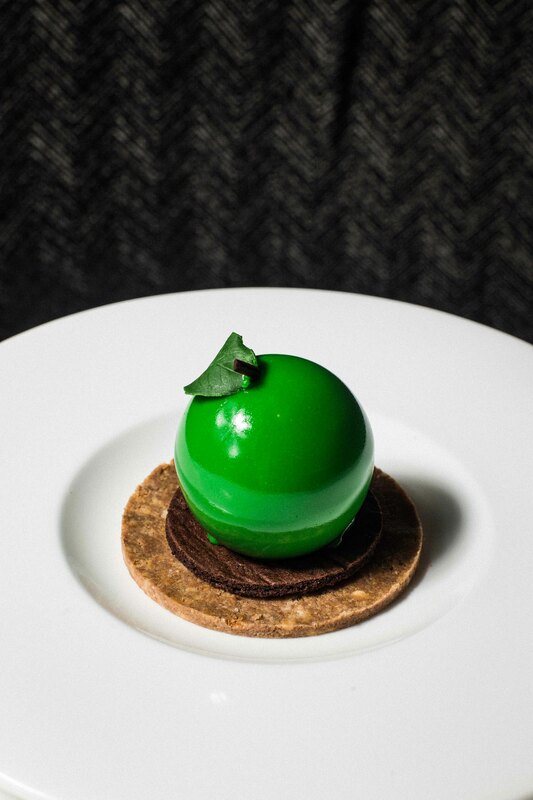 Dessert came in the form of an apple—a recreated one, at least. The dessert, which they simply call “The Apple” actually has a number of layers (which may take some strength to crack open—literally). At the center is the apple compote, followed by a soft, mild-tasting raspberry mousse and yogurt cremeux. These are then covered by a shell made of cocoa butter with white chocolate, and coated with a shiny green glaze. The Apple sits on disks made of reconstructed crumble. The mystery box is P3,850 net per person. Three different boxes are prepared each night, to ensure the variety of meals that can be served (should everyone order a box, for example). The steak cut is the same for every box for each day, but the accompanying ingredients will vary. The mystery steak box is a Marriott Manila exclusive. Although not (yet) a permanent part of the menu, the mystery box will be available until further notice.